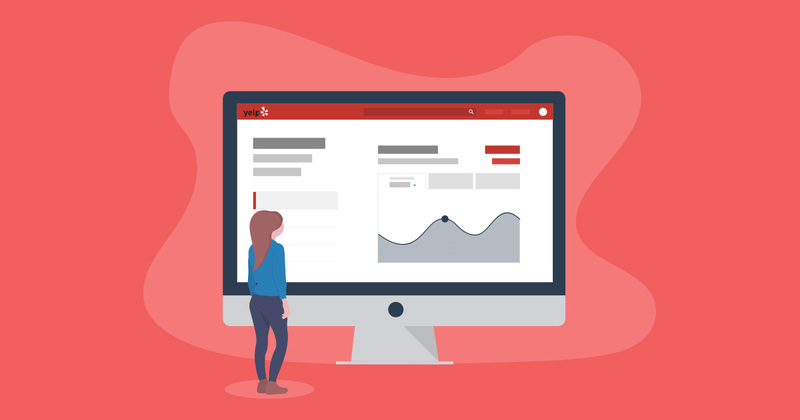 Yelp for Business Owners has a lot more to offer than a simple review collections platform, including tools to help you give better customer service. Yelp is a powerful tool for businesses in a variety of ways. In addition to its review platform features, Yelp can also provide a link between you and your customers. This article will walk through how to better serve your customers using Yelp for Business Owners. First thing’s first. Yelp can tell anyone anything about your business that you want it to. From your business hours to your specialties and hidden secrets, you’ll find a spot to put it on Yelp. A few sections here are important to serving your customers better in addition to setting basic expectations. Always keep your holiday hours updated! You can keep them in Yelp’s system year-round so the system knows to update them when the time comes. You can also use this section for unplanned closures, special events, etc. Just make sure people can tell whether you’re open or closed. You should also keep these hours updated on your Google My Business pages. Highlighing your specialty has major benefits to both you and your customers. Tell customers what’s best to eat at your restaurant or which service of yours is the most recommended. This is a great spot to put a keyword that someone might search for your business with if all they knew was what your specialty was and your general location. Posting your manager or owner bio will help customers view your business as more transparent and reachable. Even if the person in the bio is not the one responding to reviews and messages regularly, by posting this information, customers and potential customers will trust your business more and know who to talk to when things go wrong. Recommend other businesses! Do someone else’s services complement your own? Give them a shoutout. You’re serving other local businesses as well as telling your customers you’re a resource for them. Once your listing is set up, make sure your team is empowered to use the Yelp for Business Owners platform. It’s not just for business owners, it’s actually for your whole team. When people ask community questions, send messages, or post reviews, you can respond much faster if you have a team that’s empowered to work with Yelp. If you wanted to, you could have your entire team on Yelp. Just make sure you all have a protocol for who responds and how. It helps customers to see that they’re talking to real people versus a brand. It’s crucial to respond to reviews within 24 hours, so someone should check your business Yelp account daily. The best thing you can do to make sure you’re properly communicating with your customers through Yelp is to get the mobile app in addition to creating a Yelp check-in rotation with your team. This way, no notification will ever get missed. Sign up for our mailing list to get additional insights on how to use Yelp strategically and more. There are a variety of ways to communicate with your customers through Yelp. The most obvious is reviews. When someone leaves a review, make sure you always respond whether good or bad. We have some advice on how to go about responding to reviews here. In addition to review management and response, you can also talk to your customers privately with messages or publicly with community questions and answers. Messaging is fairly straightforward. If you have it enabled, someone can send you a private message. If not, then you can initiate private messages when responding to reviews. Community questions are slightly different. Even if you have messaging turned off, people can still post public questions. This feature serves as more of a public forum. But, it’s important that you keep an eye on it and answer questions when possible. 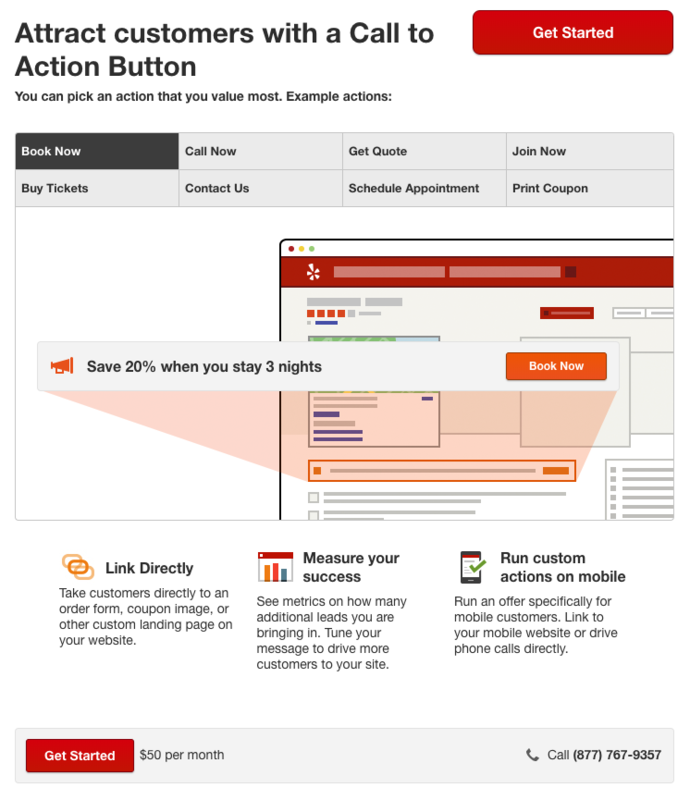 You can post a lot of variations of a “call to action” on your Yelp page as well. They come in a few different forms, including check-in offers, regular deals and offers, and general calls to action. 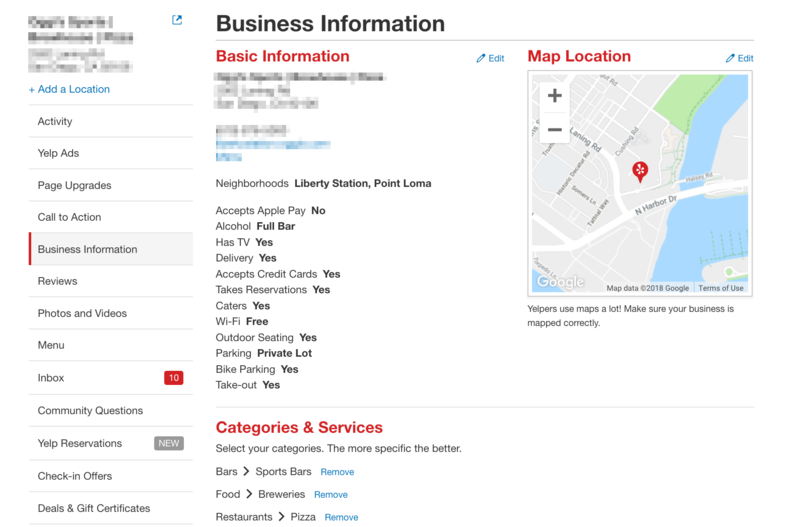 By using these features on Yelp, customers get easy and instant access to your deals, services, goods, etc. Customers are able to find exactly what they’re looking for with a single click or tap. Your general options for posting a generic call to action include book, call, get quote, join, buy ticket, contact, schedule appointment, and print coupon. Similarly, your menu and reservations can help customers find other information they need before visiting your business. If you’re a salon or a business with a list of services at set prices, you can post the link to your “services” menu. Restaurants have to sign up for Eat24 to have their menu accessible directly on the app or simply post the link to their online menu. The tools we’ve covered so far are only those that can really help you better serve your customers. Yelp has a lot of additional powerful marketing tools that can bring you more business, build your brand reputation, and help you predict your revenue as well as foot traffic. Yelp isn’t just about marketing to your customers, it’s also about serving them. Yelp has great tools to help you give better customer service. Take advantage of them and watch your review ratings improve over time.